New Delhi: India and Russia signed a contract for the delivery of five batteries of the S-400 missile defence system Friday, during Russian President Vladimir Putin’s visit to New Delhi. The deal has been signed in the face of opposition from the US, whose threat of sanctions still hangs over the deal. Indian officials were unwilling to spell out the configurations in which the systems will be purchased. Russia is expected to deliver the first of the systems in two years and complete deliveries in four years. The total cost is so far estimated at $5.43 billion. But India and Russia defence deals over the past decade, including that for the aircraft carrier Vikramaditya, have a history of escalating costs midway through the execution of contracts. The Indian Air Force believes that the S-400 is sorely needed to shore up falling inventories. Because the government cannot add to the fast-depleting squadrons of fighter planes, the missile defence system is expected to make up for air cover. 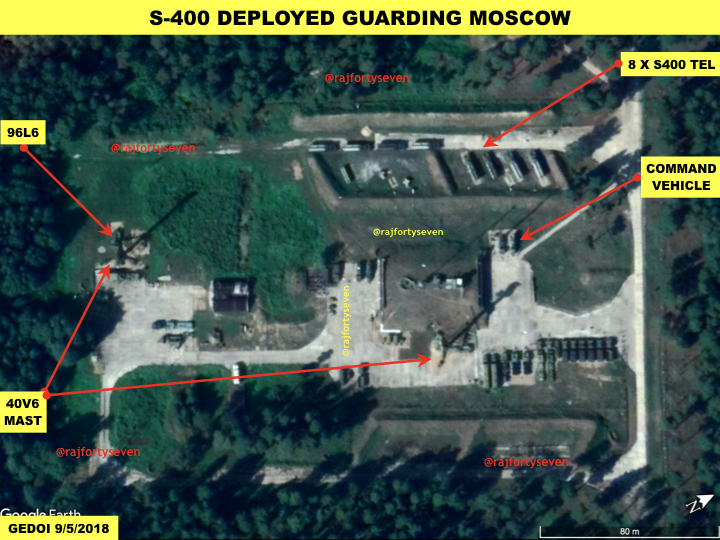 The S-400 is not necessarily used as a point defence system — that is, a platform to give protection to limited areas such as air fields and oil installations — but also for wide area coverage. The S-400 missile defence system is largely untested in a real war situation. But that is the case with most modern weapons platforms. It is operationally deployed in Syria to protect Russian bases and, of course, across sensitive locations in Russia, including near Moscow. Each S-400 battery comprises a long-range radar, a command post vehicle, a target acquisition radar, and a system that erects and launches the missiles simultaneously. Each of the launchers has four tubes. On paper, the S-400 is a cutting-edge system that the US and its NATO allies are wary of because it can detect and take out stand-off platforms such as AWACs (Airborne Warning and Control Systems), drones, missiles, and aircraft, including the F-35 that is among the latest in the US arsenal. However, it remains to be seen how it will work in real-life scenarios. “It is really a deterrent,” said an Indian official. For instance, an S-400 system installed near Delhi to protect the national capital can shoot down an incoming missile near Amritsar, at an aerial distance of nearly 400 km. Its long-range radar can see farther than the missile can fly — nearly 600 km. That means an S-400 long range (LR) radar will be able to see beyond Amritsar, more than half the distance between Lahore and Islamabad (270 km). The S-400 can be armed with four different types of missiles with ranges of 400 km, 250 km, 120 km and 40 km. The LR radar can track more than 100 flying objects simultaneously while being able to engage a dozen targets — spotted in the acquisition radar and then relayed from the command post to the launch platforms. Each component of the system — the radars, the command posts and the launchers — is mounted on multi-axle, multi-wheel Ural carriers that can move on uneven terrains. This mobility makes the batteries difficult to detect because they can keep changing locations besides expanding the missile engagement zone (MEZ). 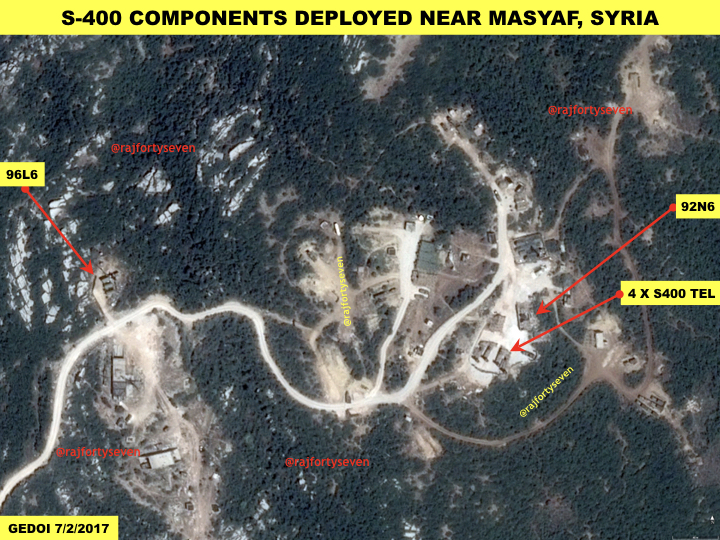 In Syria, Russia deployed the S-400s to protect one of its airbases (Khmeimim) near Latakia and its naval base at Tartus in December 2015. Both Latakia and Tartus are on the Mediterranean coast. While none of these batteries have fired, the speed of the deployment surprised NATO countries. The decision to deploy the S-400 was taken on 24 December 2015 after a Russian plane was shot down, allegedly by Turkey. The S-400s were deployed two days later. In the Russian armed forces, there are 64 launchers of the S-400 per regiment. How the Indian Air Force will structure its regiment(s) of S-400s has not been disclosed yet. The rationale is that the first lot of five S-400s will be deployed not only for the protection of the national capital, but also for Mumbai. They will also be stationed on the east coast and near the western border. The range offered by its missiles mean that the batteries would not necessarily have to be close to the border. The first battery would be scheduled to be delivered within two years of signing the contract.